Are some demographics simply better at driving than others? Helen - I always find this very funny. As a driving researcher, by a “better” driver we mean a safer driver and, unequivocally, women are far better drivers than males. Males account for 75% of road deaths but they’re responsible for upwards of 90% of fatal road accidents. Chris - Sorry to interrupt but I just would like to clarify... If you stratify that by age, does that hold right the way across the age spectrum or is 90 percent of that people under 21? Helen - It's a good question. It’s going to be different things feeding in here. At a younger age? Absolutely. 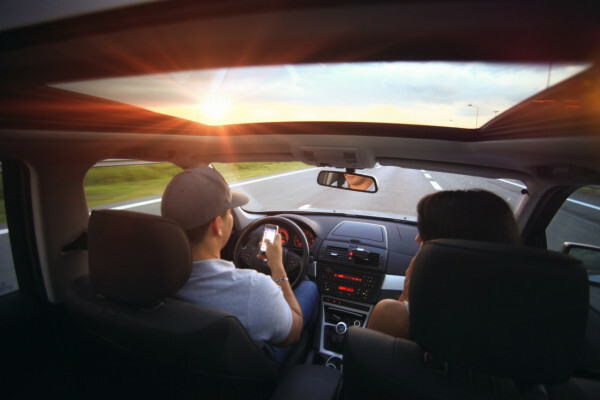 We know that risk taking behavior is really prevalent among young male drivers compared to younger female drivers and differences do get less as we get older. But then some more differences start to kick in around ageing, which is something else I'm interested in. Older drivers are prone to errors when they're driving more than younger drivers. And gender differences hold for older people; older men are worse drivers than older women. But it does bring up an interesting question about how old is too old to drive. There are things that are quite obvious to us. Older drivers, their vision is worse than younger drivers. As we get older we lose flexibility now lenses so our ability to focus on distances gets worse, our peripheral vision gets worse. But really importantly for night driving, the ability of our pupils to enlarge and take in light gets worse as we get older and it becomes quite fixed. Our night vision really suffers as we become old. But interestingly as well we have a loss of white matter as we get old. And white matter is part of the brain where the nerve axons respond much quicker than in other parts of the brain and we have a lot of this activity happening in white matter when we are younger. So as we age we have a loss of white matter and these differences can't really be corrected for, these slower responses. We can’t correct for them just with glasses and hearing aids and better vision. Our brain actually responds more slowly as we get older. Chris - Indeed the white matter is is the connections between different bits of the brain, isn't it? So if you lose those connections I suppose the bandwidth, the processing throughput rate, the brain can handle it is going to diminish a bit as we get older. Helen - Absolutely right. We have myelin sheaths on these nerve axons, transmitting information that makes information going really fast. If we lose that it's really irreparable, we can't really compensate for that loss. There was a very interesting story in the news recently where police in three areas of the UK are going to start mandatory eyesight testing for every motorist that they stop. This is related to something called Cassie's law where an 87 year old male driver was pulled over, tested by police for his eyesight and he didn't pass that eyesight test but yet was allowed to continue driving. We know that if we bring in these mandatory eyesight test for elderly people, it can have a real impact. We ask how old is too old to drive. At the moment, once you hit 70 in the UK, you have to renew your licence every three years. So we think that that might be a bit protective but really it's going to be on self report about whether your vision is still appropriate for driving. Road safety researchers would like to propose maybe that once you hit 70, there are mandatory tests involved and not just eye tests. Like I talked about, this loss of white matter and in this slowing of responses, perhaps even mandatory driving tests every year or more frequently once hit 70 years of age. Chris - You never know by the time US hit 70 years of age perhaps we won't be driving anyway. So this problem might sort of get solved by technology. We may be dumping ourselves off in our driverless car and it won't matter if we can even not see at all. We'll get where we need to go quite safely. Helen - I hope so because I think driverless cars are absolutely the future. Although, that would do me out of a job! But I think there is something to balance here. When we say that as a demographic older drivers are more dangerous than younger drivers, we have to look at relative versus absolute risks. Relatively, older drivers are more error prone than younger drivers. But at an absolute level, they make far fewer journeys and when they do make journeys, they travel far fewer miles far less distance. On an absolute scale, really if we were to just target road safety, we'd probably still just be aiming at younger males... And getting them all off the road! Previous Can we terraform the moon? Next Why do women live longer than men?